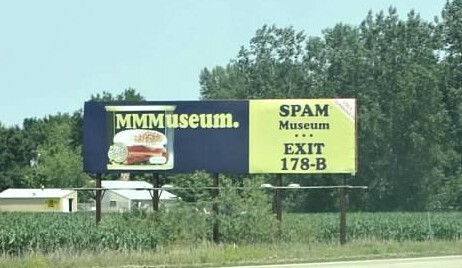 SO, I thought it’d be REALLY funny to take them to the SPAM Museum, in Austin MN. Well! the joke was on me! 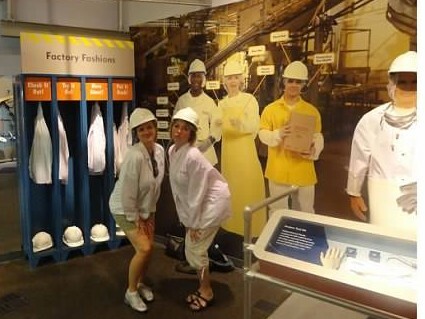 The whole place was completely fascinating! I had NO IDEA that SPAM was so important in history. 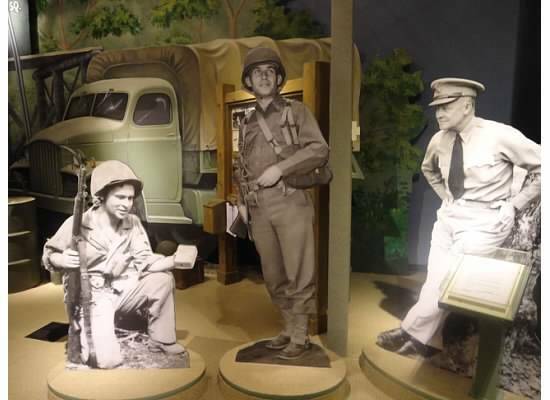 Did you know that more than 100 million pounds of SPAM was sent overseas to feed allied troops during WWI, between 1941 and 1945? Also: Did you know that they sponsored a Nascar car? I really thought we’d be there 10 minutes and leave, but we were there a long time! I definitely recommend going! In the Gift Shop, they have all kinds of fun things – I think we all got SPAM shirts (mine is tie-dyed and everyone thinks it says “Spain”), one of the kids got a SPAM piggy (stuffed animal) which literally saved his hands and knees at least twice, when he tripped and fell and landed on it (I’m sorry – it gave me giggles – you know, after I was certain he was ok)…we got bandages that look like SPAM (all bandages kind of do), a SPAM fishing lure… I can’t remember everything – but they have so much! games, dishes, toys, dog accessories, and, of course SPAM and SPAM Cookbooks! GO! such an unexpected surprise!! Any suggestions for what I can do with alot of SPAM labels? 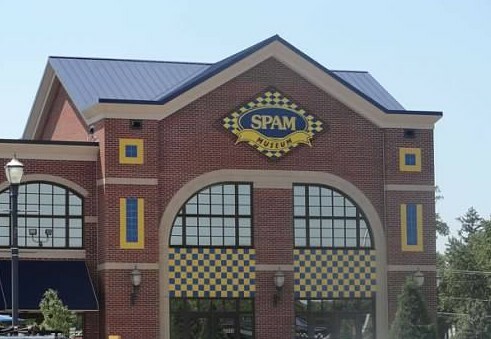 My husband LOVES Spam and I tried to get him a SPAM T-shirt but the offer mwas discontinued before I could get one! Spam Lover HELP! Lill E.